Lúcio Flávio Pinto introducing the Beyond Fordlandia in Belém. Lúcio Flávio Pinto remarking on the importance of the film. Professor Marilene Freitas given remarks on the film presentation at IGHA. Marilene Freitas and Marcos Colón at the IGHA showing of Beyond Fordlândia. Professor Marcus Barros commenting on the film with Marcos Colón presiding. 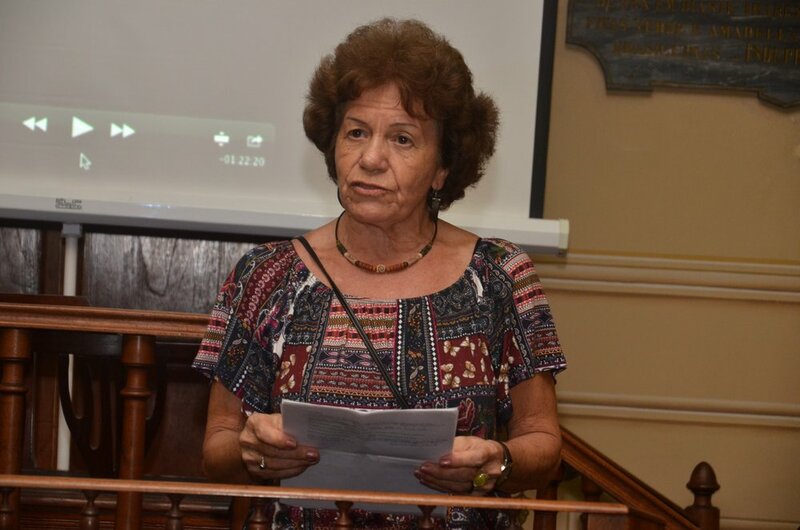 Professor Selda Vale introducing the film at the Geographic and Historical Institute of Amazonas (IGHA).